Even with summer winding down, there are plenty of folks out fishing. 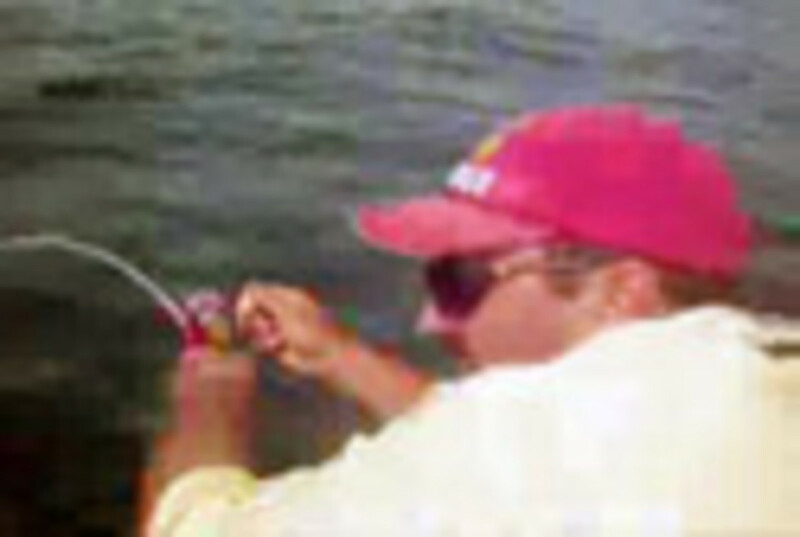 But what do you do if, like Todd Mackechnie of East Longmeadow, Mass., reeling them in starts to get a little tedious? Reach for your daughter&apos;s $10 Barbie fishing rod. "Last year, while fishing Montauk, N.Y., we caught so many fish it became boring," says Mackechnie, who owns a 2007 19-foot Key West and fishes with friends. That&apos;s when he noticed his daughter&apos;s Barbie fishing rod in a storage area and figured he&apos;d give it a try. After some success, the Barbie rod became a running gag for Mackechnie and his buddies. "I&apos;m a member of several fishing clubs and started posting videos of different fish caught with Barbie," he says. "It&apos;s actually become quite popular, and people look forward to my posts to see what Barbie caught." That&apos;s how Barbie became a friendly side bet at the 2009 Oak Bluffs (Mass.) Monster Shark Tournament in June. "I was talking with some captains that I knew that are legendary shark fishermen. They asked if I had Barbie with me; at that point we made a friendly bet that I would land a shark on her during the event," he says. The next morning - fishing 25 miles southwest of Martha&apos;s Vineyard, Mass., on a friend&apos;s 28-foot Boston Whaler Conquest - the crew had caught 19 sharks when a blue shark entered the chum slick. The Barbie reel comes spooled with 6-pound test, but Mackechnie had re-spooled it with 50-pound braided line and a 50-pound monofilamentleader. "Surprisingly the drag held up great, and the shark was landed," he says. He estimates the blue shark weighed about 100 pounds, based on the tape measure on the side of the boat. "I then got on the tournament radio and announced, &apos;Mission accomplished,&apos; " he says. "Good thing I had it on video, because no one would ever believe this fish story." To see more of Mackechnie&apos;s videos, visit his YouTube site.